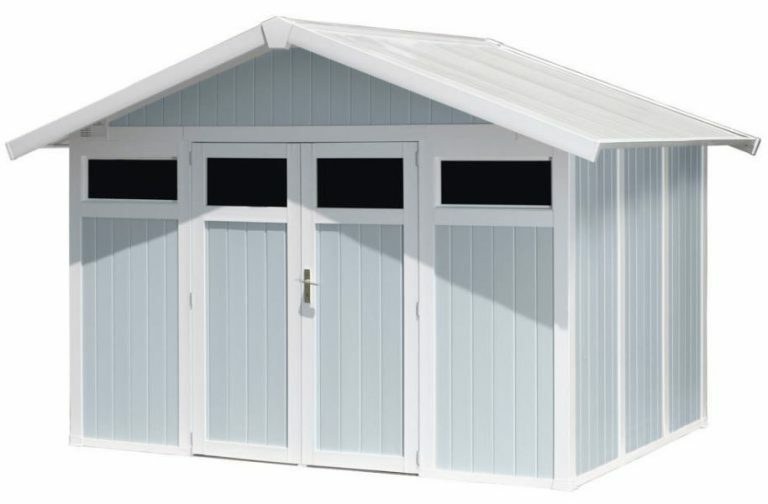 Grosfillex’s range of 7.5 m² PVC garden sheds provide garden accommodation and services whilst harmonising any home-yard’s setting with pure summery style . Composed with a virtually maintenance-free weatherproof resin manufacture their design replaces future’s upkeep duties, the undemanding role of a swift wash down simply rejuvenates their appearance. Opting for a resin manufactured shed has made a huge difference to our summer living, eliminating yearly re-varnishing services, now & again roof re-felting projects and the frequent conservation duties demanded by rotting wood. Once the shed floor disintegrated we searched for an alternative solution to replace the hassles and what a difference it’s made. Currently two colours complete Grosfillex’s 7.5 m² utility range, exhibiting pure summery pastel shades of either pale blue or green surrounded by white trims. Their approximate 10 x 7 ft dimensions deliver generous proportions to accommodate a whole variety of gardening equipment & patio accessories including the services for a potting shed. Grosfillex are masters in design & manufacture of summerhouse accommodation, their utility sheds equate to the same quality construction albeit without large windows in the facade delivering an abundance of daylight, a requirement to brighten up any garden’s chalet room. Rather a more private design has been administered for their utility sheds by incorporating smaller windows across the doors frontage. Initially, the #1 priority ruling relating to the preparation of solid level foundations of either wood or concrete for the shed’s substructure should be implemented before the utility is assembled,. Solid level foundations are imperative in accomplishing the perfect PVC garden shed construction. The importance of a level base ensures the roof weight applies an equal amount of force on all four shed sides, avoiding future leaning pressures. 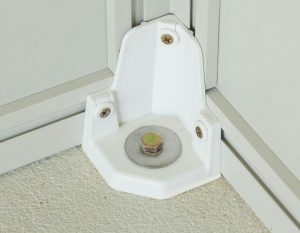 Assembly is made straightforward from level footings due to the easy alignment of the PVC panels plus the vertical plumb stance delivered by a level base ensures the doors operate their correct opening and closing swing. Solid foundations deliver the perfect substructure to survive heavy duty demanding storage pressures endured by wheeling in weighty lawnmowers and accommodating heavy-duty equipment plus it provides the essential requirement for anchoring the shed down onto the foundations to increase stability to their final construction. The shed images in-among this post show the correct foundations, it’s significant to adhere to these stipulations. 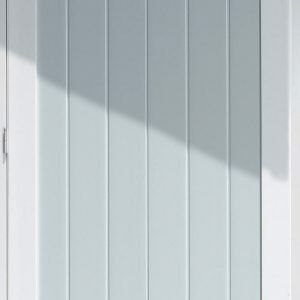 Due to Grosfillex’s summerhouse design the preference of what style of flooring is to be laid depends on one’s garden escape route’s requirements, therefore their entire range of customizable garden sheds including these utility sheds are purposely designed absent from an integrated floor. Once the foundations are laid and the shed is assembled the instructions illustrate how to waterproof the shed, this entails running a bead of sealant around the internal side of the shed’s perimeter, a very straightforward procedure that’s well documented in the assembly instructions. Grosfillex have one heck of an impressive anchorage system for their range of summerhouses and utility sheds. Instead of securing an integrated floor down into the foundations, Grosfillex deliver enhanced anchoring methods by securing the metal infrastructure down onto the solid foundations at various points plus an additional anchorage kit further bolsters reinforced support providing reassurance for those living in exposed areas. Running around the shed’s base perimeter regards a steel framework that adjoins the steel corner posts and vertical struts to which the facade panels are secured. At various placements running around the shed’s perimeter are anchor points for securing the base trim down into the foundations. At each of the four corners a triangular anchorage plate secures the corner posts with the base trim and down into the foundations. The type of Anchor bolts required depends on the substructure’s material, whether wood or concrete foundations have been laid. For those living in exposed areas an additional Anchoring Kit containing steel cables, clamps, quick links and tensioners are inconspicuously installed within the corners of the shed tying all four corners together delivering reinforced support to the already in-place anchorage system. A clever yet incredibly sturdy design for those looking for increased anchorage support. Straightforward to install they increase sturdiness and rigidity to Grosfillex’s overall construction increasing wind resistance levels many fold. These additional Anchoring Kits are sometimes included, check with the supplier prior to purchase. Grosfillex shed facades regard a PVC manufacture, composed of 26 mm thick double skinned polypropylene resin wall sheets, adjoined together by a reinforced structure. This 99% recyclable material boasts an environmentally friendly make-up with a plethora of advantages. Upon comparison to their wooden counterparts, during winter, wet and damp conditions this weatherproof resin is not susceptible to decay whilst it’s impermeability to rainwater results in a make-up requiring no future maintenance regarding re-varnishing nor re-painting. UV protection combines within the resin mix delivering added strength to the manufacture, resisting surface cracking and the demise in appearance colour fade succumbs to when under attack by sunburn rays. 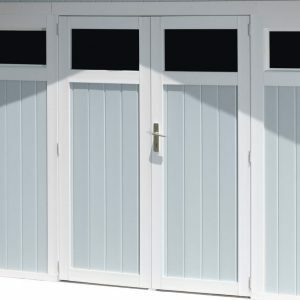 Wonderful summery shades of pastel blues or greens deliver adorable looks to Grosfillex’s 7.5 m² utility sheds, destined to complement any garden scenery. The colour shades inclusive of intricate wood-grain details are produced by Grosfillex’s heliographic printer whilst the molding procedure creates the vertical wood panelling design finishing their appearance off to stylish effect. Each wall and roof panel secures to the metal infrastructure displayed in the images by vertical white trims which all secure to the steel framework producing an overall structure of rigidity, feedback remarks on Grosfillex’s quality construction. If you’re like me, after a quick clean rather than maintaining duties, Grosfillex sheds epitomise the ease of cleaning regarding modern-day manufactures. Cleaning regards scrubbing with a soft brush dipped in warm water and detergent. We generally lightly spray-hose our shed down on an evening whilst watering the plants, job done in minutes. A well designed apex roofing structure caps Grosfillex 7.5 m² utility sheds off with an effective rainwater drainage system whist the most generous of extensions overlapping the facade ensures there’s no possibility of rainfall gaining entry where the walls connect. Usually when comparing competing quality resin shed ranges, a steel truss system spans their internal width bolstering roof support paving the way for a translucent skylight strip to be embedded within the apex ridge. Grosfillex’s roofs incorporate a different system. Due to their summerhouse design the main roof support regards a steel beam embedded within the full length of the roof ridge to which the roof framework secures to. Absent from skylights daylight is delivered through their frontage windows however a spacious expanse across the ceiling generates an abundance of headroom height, a clever yet more homely design. The roof panels have identical composition to the walls with the exception to their colour shade. A PVC polypropylene resin manufacture resists weather-rot and is water-repellent however unlike roofing felt’s rapid structural deterioration when damp conditions attack, resin remains unaffected, requiring no future replacements. Grosfillex replace the old adage ‘plastic creates a sweaty atmosphere’ by incorporating air-vents within all four top corners plus an additional two up in the apex peak at the top frontage and back. This generates a fresh air current to circulate the interior creating a fresh ambience increasing storage preservation qualities. A fresh air current also puts an end to condensation building up on the inside, an issue metal sheds are rather prone to. Mounting kits are usually included with Grosfillex sheds however ask before purchase to make certain. The mounting kit contains 6 fixing sections that insert within the conformation of the steel vertical struts to which the facade panels are adjoined. These sections secure with screws and allow screwing into to enable installing shelves and hanging items. The ability to hang long-handled gardening tools against the walls within a PVC construction is a superb design. Most people incorporate free-standing shelves too as these accommodate heavy items with the ability to take advantage of the shed’s storage height. Double doors manufactured with the same PVC composition as the walls whilst surrounded by a metal infrastructure inclusive of windows incorporate quality metal hardware. Three metal hinges per door deliver a sweet operation whist a traditional key-lockable handle delivers a quality closure providing security standards way above any pad-lockable design common on competing garden sheds. Very impressive security standards here due to Grosfillex’s security conscious summerhouse design. Once the correct foundations are adhered to and prepared, assembly is pretty straightforward as the Grosfillex video up above demonstrates. Assembly time varies from one day to two dependant on one’s DIY skills. Grosfillex advise not to build on a windy as gusts of wind can create problems. Constructing a Grosfillex shed requires 2 people, one supports the panels whilst the other secures into place. Room around the shed’s base area plus a step ladder is required for securing the roof panels. Assembly requires following and implementing the sequence of steps illustrated in the instructions. Inspect Grosfillex’s 7.5 m² Utility Shed competition. A visual post of competing quality plastic sheds stepped up in size order with links to their in-depth reviews. Grosfillex 7.5 m² Utility Sheds provide weather-defence through their PVC polypropylene resin composition. Devoid from decay and rot deteriorating their structure, a whirlwind wash accomplishes their undemanding cleaning duty whist secured around a steel infrastructure reinforces their stability. A superb anchorage system secures Grosfillex sheds down onto their foundations. Security-wise, it doesn’t get any better than a key lockable handle. Double doors provide easy access, mounting kits enable hanging long handled gardening tools against the walls whist windows and air-vents deliver daylight with a fresh internal ambience. Ultra stylish summery display of pastel shades provide the accents to enhance any outdoor garden location whilst fab feedback combined with a 10 years limited Grosfillex warranty provides assurance. Why opt for a Grosfillex style of utility shed? Grosfillex provide their answer! Thanks for reading about Grosfillex’s PVC garden sheds. 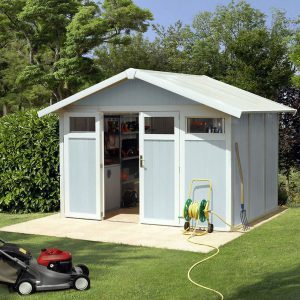 If you have any related utility garden shed queries, please drop them in the comment section below. Always happy to help. My Garden Shed is not in good shape anymore, and we really need one quickly before the winter time. Our garden shed is made of aluminum, and this is the last time I invest in this kind of material for my garden. Polypropylene is solid, and I know that it is extremely resistant to the heat and water as well. I will definitely consider buying one online; they are much nicer and cheaper than in local stores. Just a question, please. Do you ship out of US? You’re shed sounds like the hassle we had with our last wooden one causing us to turn our attention towards something that had weather-resistance built into the manufacture hence choosing a resin style. To be honest the thing that swayed our decision initially regarded the change of dustbin manufacture from the old rusty metal style to the resin wheelie trash bins we see today. We thought if they can cope with the roughness of bin emptying, surely a shed will survive the weather, so we opted for a resin manufacture. Yeah, I am impressed with Grosfillex’s make up and the way their framework is anchored down into the foundations. They do receive superb reviews all round. Okay they don’t have a built-in floor due to their summerhouse design construction however if solid level foundations are laid, they way sealant is applied on the internal side of the shed’s perimeter represents no problems in my view. I think the way they are anchored plus their key lockable security will take some beating, I’m impressed with their design. Grosfillex is a French company hence they concentrate mainly on the European market to my knowledge however they do supply wall cladding and other manufactured products in the USA, so whether we will see Grosfillex sheds marketed in the USA, I’m not sure. The link to the eBay platform to which I find the most choice and best prices regarding Grosfillex sheds maybe worth an ask whether they ship to the USA. Many do offer shipping nowadays, many-times free. UK market, no problem, they are becoming very popular. Now there is inventory for a website that has evidence of being a site worth taken seriously. The paragraphs are displayed in a fashion that does not take too much space. If an individual wants to learn more about what the paragraph displays, simply clicking on the “Read more…” and there is more education about the subject. 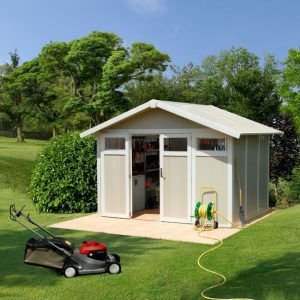 I just watched the video titled “Grosfillex Garden Shed Features:” and I am impressed of the detail presented in how a “garden shed” is built and the business deal that comes along with the product. I checked out the prices on “eBay” that I find interesting. On the front page, I notice the sentence: Why choose a Grosfillex PVC style shed” following the link: Grosfillex provide the answer! in the color of “green” that I find quite impressive. Clicking on the link takes me to another website that I know can make a higher number of possible shoppers no different than what I have complimented before. On the top of the front page, I notice the titles from “Home” to “About” where I click on the “About” word, which also shows like the other words before hand, the sub menu. There are no errors I see with the exception of below the title “Shed Ranges” are more links; however, I think this needs to be in alphabetical order. Thanks for your website feedback. It’s not often I receive this, thank you for taking your time to offer your advice and kind words. 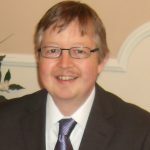 I have taken all your advice on-board and will be sorting that menu out in the near term future as my intentions are to create a homepage that links to all the various low maintenance storage solutions categories.